From the world of the bestselling YA series Red Rising comes an original story of love, loss and rage: Pierce Brown's Red Rising: Sons of Ares! In the future, when mankind has spread across the stars, the hierarchy of man is dictated by the color of one's caste. The Golds rule all, but what will happen when one falls for a lowly Red? See how a forbidden love will set the course of events for the future and lead to the formation of the formidable Sons of Ares! Written by author Pierce Brown (the Red Rising novel trilogy) and Rik Hoskin (Brandon Sanderson's White Sand), with art by Eli Powell (Yakuza Demon Killers, The 13th Artifact), comes the story of revolution and Red Rising! "It's a dream come true to bring the world of Red Rising to comic books, and a real pleasure Jedi-mind melding with Rik in the writing process," says Pierce Brown. "Sons of Ares is a story made for new and veteran readers alike." 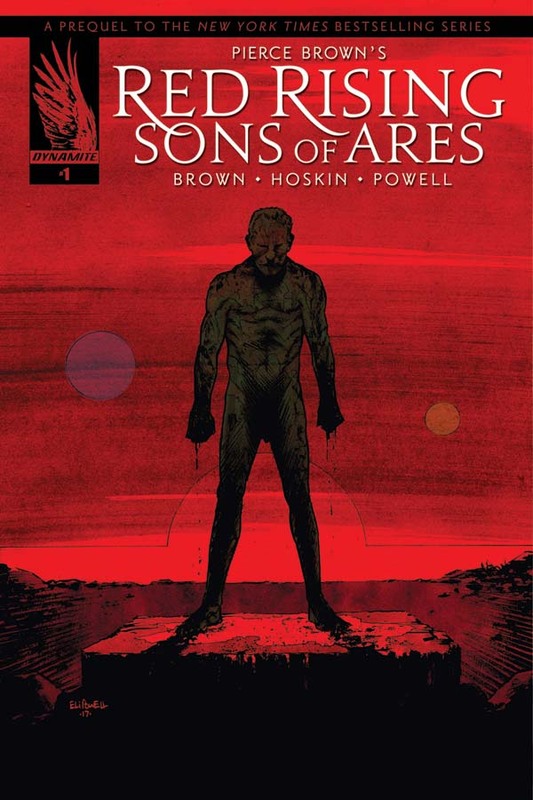 "Sons of Ares in a new story set within the brutal world of Pierce Brown's Red Rising books. I've worked closely with Pierce to create something that's true to those books, but also feels unique and new," says Rik Hoskin. "Like the books, ours is a fast-moving story set right across the vast canvas of the freshly-colonized solar system. We're exploring the effects that the inflexible regime has on an individual who's a key figure from the books, looking at the limits of humanity in a dehumanizing system. For me, that's the key to the books -- the very human characters striving against a system geared to beating them down. It's harsh, cruel, unfair and -- occasionally -- uplifting." "When Pierce Brown debuted the first Red Rising novel in 2014, the zeitgeist was immediate... and it wasn't long before copies were being passed around the Dynamite office. It's got everything we love about modern sci-fi: pulse-pounding action, intrigue, and fantastic settings,"says Dynamite CEO and Publisher, Nick Barrucci. "Dynamite has had great critical and commercial success by inviting beloved literary authors to expand their novel universes with original tales exclusive to the comic book format, with prime examples being Jim Butcher's The Dresden Files and, most recently, Brandon Sanderson's White Sand. We're proud to team Pierce with White Sand co-writer Rik Hoskin and artist Eli Powell to pull back the curtains on a secret chapter of Red Rising history for all his fans to enjoy." "The Red Rising trilogy contains the most imaginative and inventive science fiction I've read in many, many years," says Joe Rybandt, Executive Editor. "It's a post-modern Lord of the Flies with lyrical language reminiscent of the great Anthony Burgess. I was a massive fan of the books and delighted to be working directly with Pierce to bring his vision to life in comic book form." 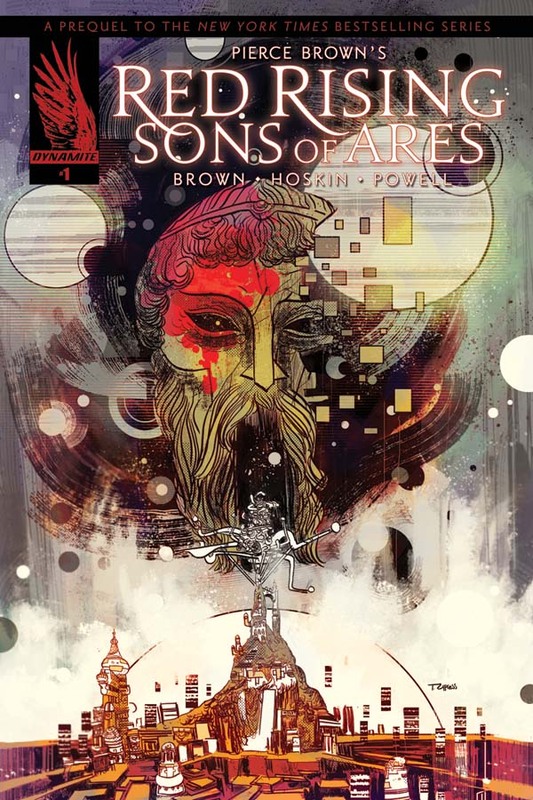 Pierce Brown's Red Rising: Sons of Ares #1 will be solicited in Diamond Comic Distributors' March 2017 Previews catalog, the premier source of merchandise for the comic book specialty market, and slated for release in May. Comic book fans are encouraged to reserve copies with their local comic book retailers. Red Rising: Sons of Ares will also be available for individual customer purchase through digital platforms courtesy of Comixology, Dynamite Digital, iVerse, and Dark Horse Digital.